It is instructive to read the Dail Eireann second stage debates on the Republic of Ireland Bill, 1948, the 70th anniversary of the final passage of which is commemorated in this newspaper today. 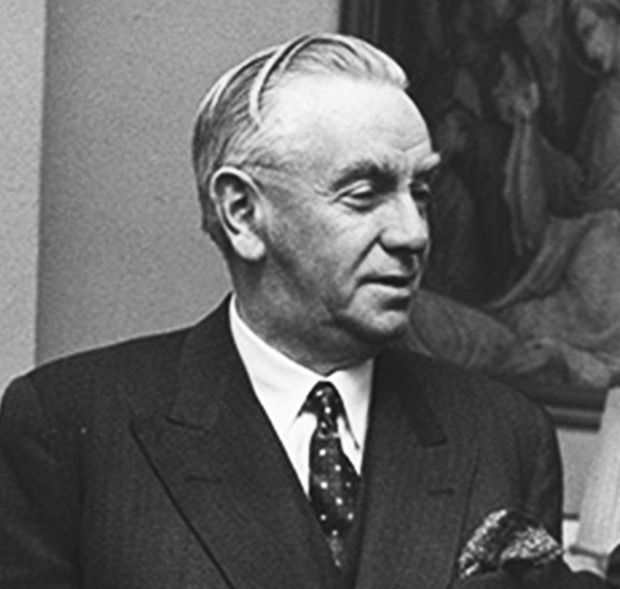 In introducing the Bill, the then Taoiseach John A Costello said the intention was not merely to repeal the External Relations Act but to mark it as a measure ending one epoch and beginning what he hoped would be a new and brighter epoch for the people of this country. The Bill, he said, would end, and end forever, in a simple, clear and unequivocal way, this country's long and tragic association with the institution of the British Crown and would make it manifest beyond equivocation or subtlety that the national and international status of this country was that of an independent republic. However, Mr Costello said it was equally necessary for him to emphasise, with clarity and force, that the measure was not designed, nor was it conceived, in any spirit of hostility to the British people or to the institution of the British Crown. He emphasised that the Bill was not conceived nor was it brought into the Dail in a mood of flamboyant patriotism or aggressive nationalism, nor in a spirit of irresponsible isolationism, nor with any desire or intention in any way to dislocate or interrupt the delicate mechanism of the community of nations known as the Commonwealth of Nations with which, in one shape or another, Ireland had some associations over the previous quarter of a century. For his part, the leader of the Opposition, Eamon de Valera, while supporting the Bill, outlined his reasoning behind the External Relations Act - "We have never wanted to oppress a minority in this country. We were prepared to try to meet their sentiments, in so far as it was right and proper that we should" - and declared Ireland that day was not proclaiming a republic anew; not establishing a new State: "We are simply giving a name to what exists - that is, a republican State." He concluded his contribution to what was a historic debate by quoting, in paraphrase, the Persian mathematician, astronomer, and poet Omar Khayyam, probably translated by the English poet and writer John FitzGerald: The moving finger writes and having writ/ Moves on; nor all man's eloquence nor wit/ Shall lure it back to cancel half a line of it. While we can not be absolutely certain what Mr de Valera had in mind in this quotation, it can be assumed the 'moving finger' related to the idea of time passing, and once something was done, it remained in the past as time moves forward. The debate as to whether the Republic has achieved the noble ideals of that period in our history remains open and uncertain. Undoubtedly, the murderous campaign of the Provisional IRA set back by three decades relations between Ireland and Britain and between the Republic and the majority in Northern Ireland. Those relations have improved remarkably in recent years, since the signing of the Good Friday Agreement, but are strained again in the current process of the United Kingdom's departure from the European Union. All effort must be made for a renewal of good relations on this island and between these islands in the spirit of many of the contributions to that debate in 1948. It would "cheer the hearts" of our people were that to occur, as Mr de Valera also said in that debate. As to the future of the Republic, we turn to the Seamus Heaney, whose birth date was yesterday, and quote from his great poem From the Republic of Conscience - written more than 30 years ago, which projects an image of the kind of polity wherein we would all like to live - not just a free and independent republic, but a republic where the "symptoms of creeping privilege disappear" and "lightning spells universal good".